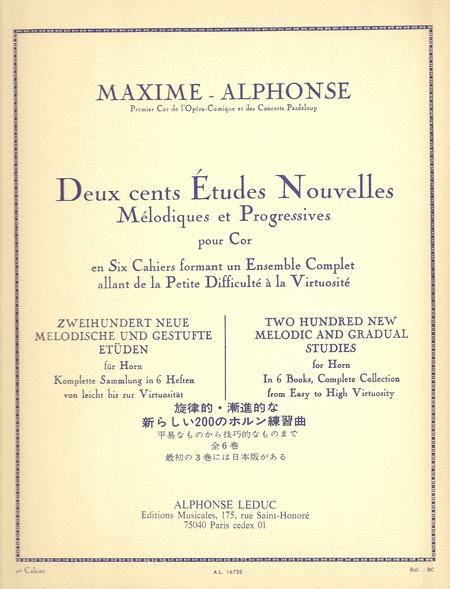 Composed by Maxime Alphonse (Jean Marie Maximin François Alphonse, known as Griet, 1880-1930), Two Hundred New Melodic And Gradual Studies - Vol. 2 is the second book of a set of six, containing 200 études for horn with different levels of difficulty. 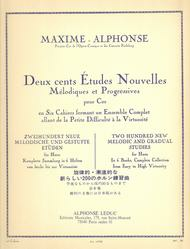 As a horn teacher who had also won the Premier Prix in Horn at the Paris Conservatoire, Maxime Alphonse wrote this set progressively to ensure that the content was matching the needs for quality studies, starting with pieces for beginners, and evolving through the books to those for advance students.